Description: C&D Visionary Appliques have great graphic images, many that you may recognize or are already familiar with, and big bold colors that make them really stand out. You can apply them to a multitude of things, from clothes to bags, luggage to guitar cases, and more. 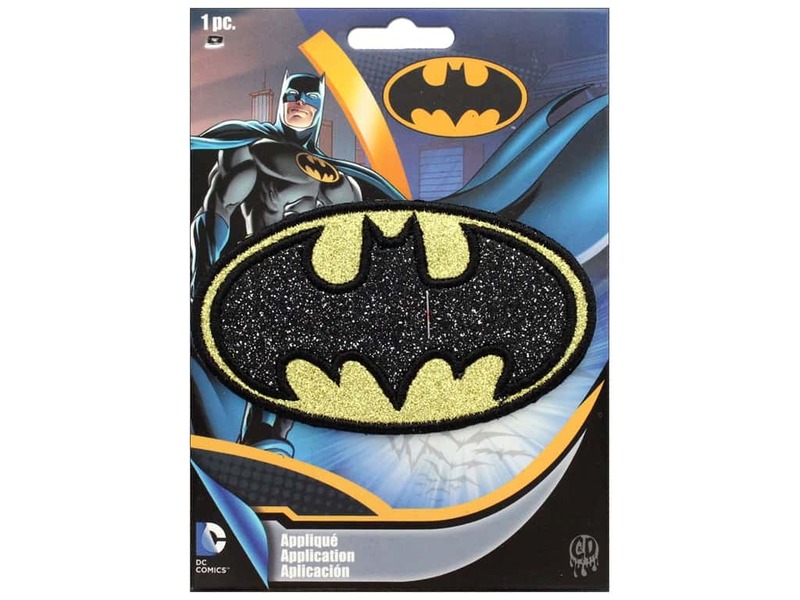 Batman Black Glitter- Embroidered patch with the Batman logo that has a black glitter bat and a gold glitter background. Measures approximately 4 in. x 2.38 in. Can be ironed on or adhered with glue, see back for instructions. See more C&D Visionary Appliques.